Destroy!! 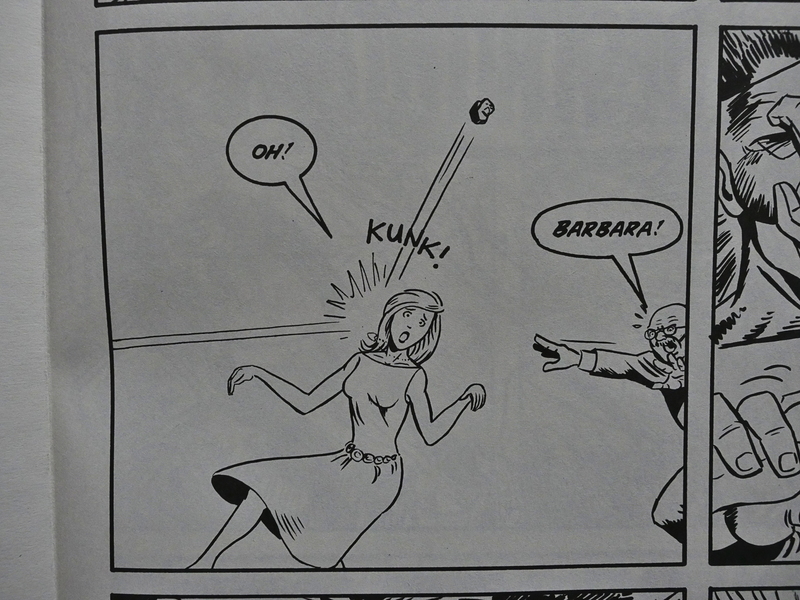 (1986) #1 by Scott McCloud. 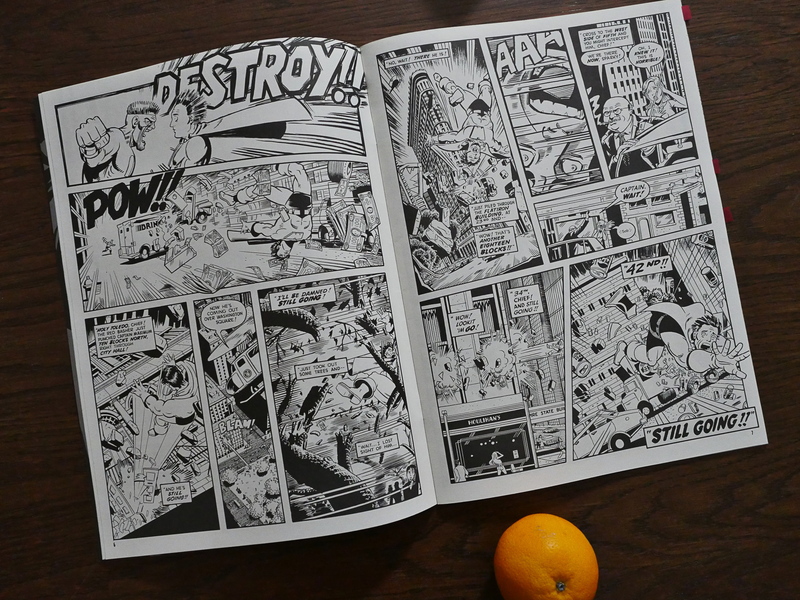 Eclipse published extremely few comics outside the standard formats (i.e., normal American floppy size or normal magazine/album sizes). I think this was their very first, and only a handful of these projects are to follow. So they’re not particularly into the materiality of the books, perhaps. Or perhaps it’s just too expensive. 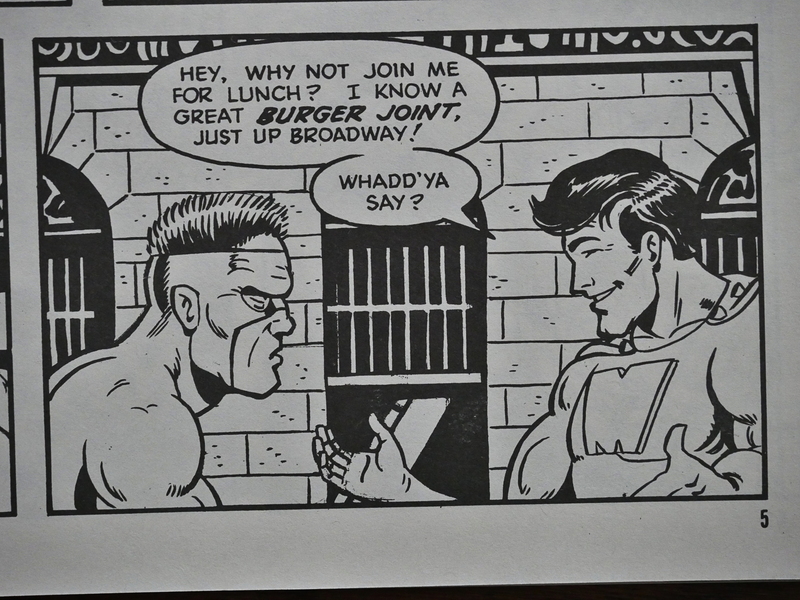 This book is (as the cover promises) mostly just people fighting and reducing New York to rubble, but it does have a storyline and jokes and stuff, so it’s not as pure as you may have surmised. It does make pretty good use of the huge pages. The format of this book is slightly larger than Raw Magazine… so it’s a bit smaller than tabloid. I should get a ruler out or something, but I’m on the couch and I’m too lazy. It was also released in normal comic-book size, but in 3D. 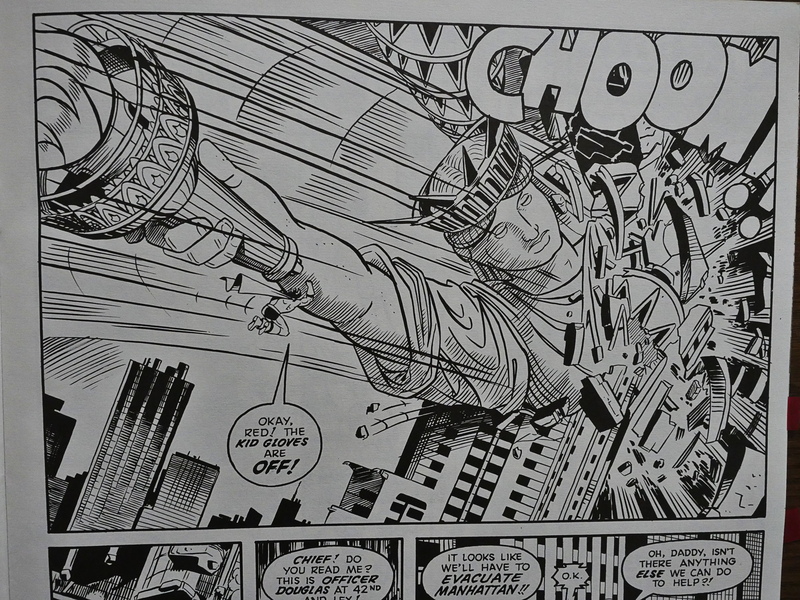 I think McCloud covers all the major New York tourist attractions. But there’s also small pieces of destruction. It’s pretty fun, and it’s a breezy read. 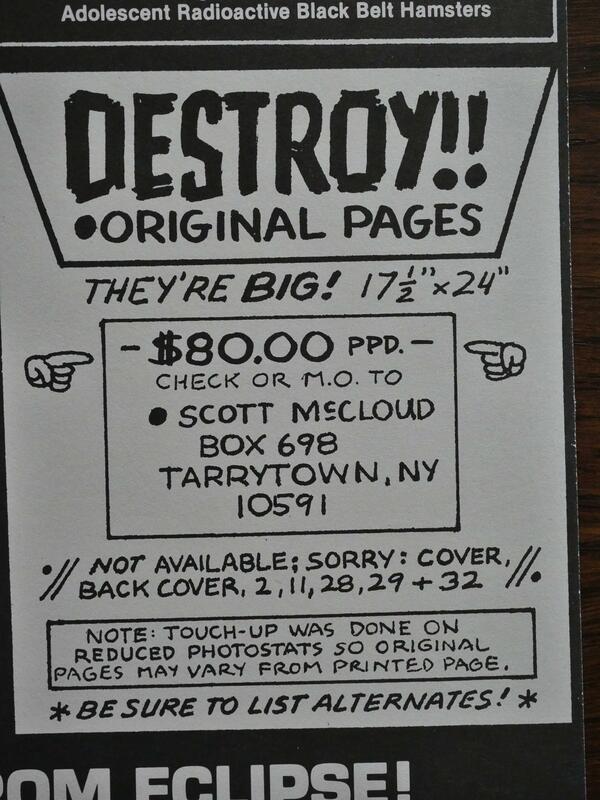 McCloud sold the original artwork pretty cheaply. Done one very large pieces of paper. 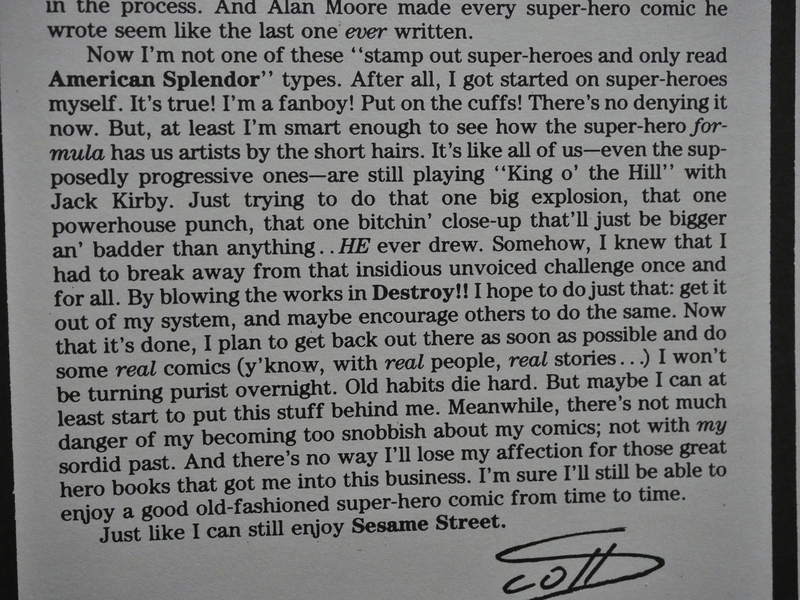 McCloud explains why he made this book: To get it all out of his system while planning the next incarnation of his main book, Zot!. 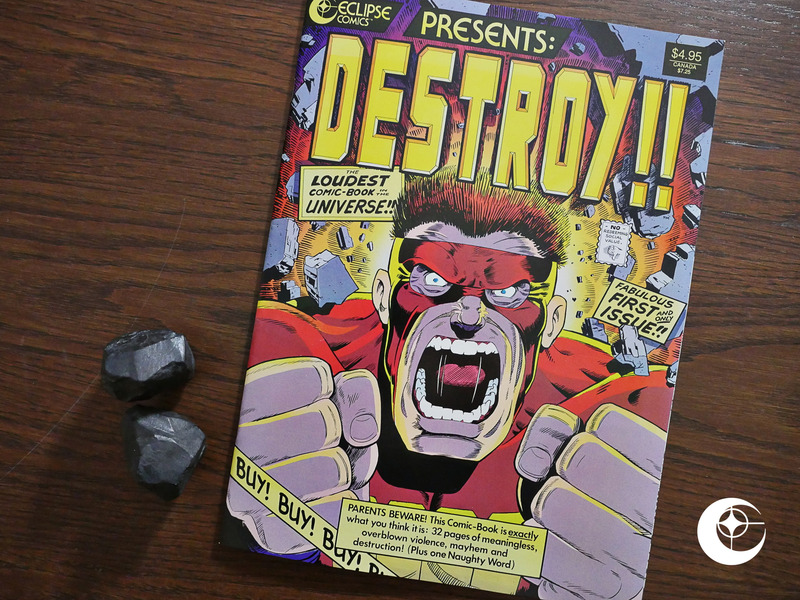 Which has half as many exclamation points in the title, and a lot less destruction in the issues he made after Destroy! !, so I guess it worked? 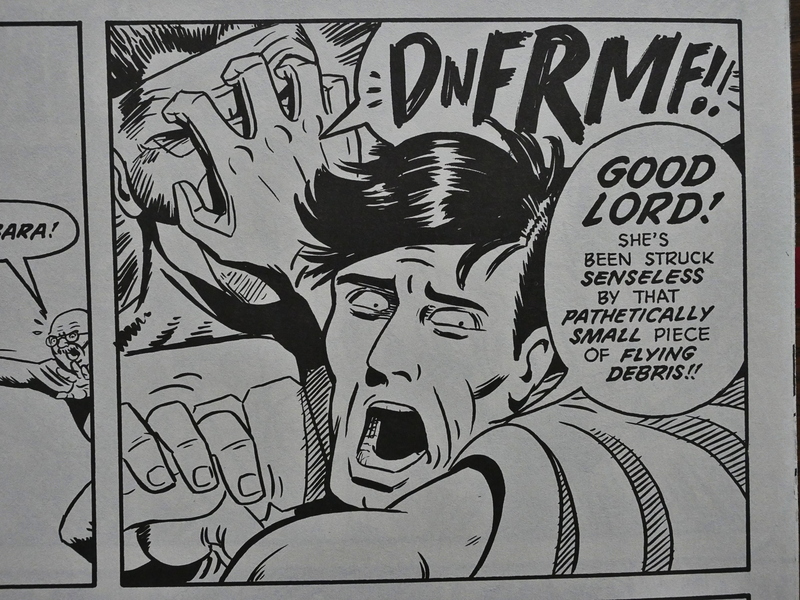 I was unable to find any contemporary reviews of this in the Comics Journal.